Benjamin "Benny" Latimore (born 7 September 1939, Charleston, Tennessee), usually known professionally simply as Latimore, is an American R&B singer, songwriter and pianist. He was born in Charleston, Tennessee, and was influenced by country music, his Baptist church choir, and the blues. His first professional experience came as a pianist for various Florida-based groups including Joe Henderson and Steve Alaimo. He was born in Charleston, Tennessee, and was influenced by country music, his Baptist church choir, and the blues. His first professional experience came as a pianist for various Florida-based groups including Joe Henderson and Steve Alaimo. He first recorded around 1965 for Henry Stone's Dade record label in Miami, Florida. In the early 1970s he moved to the Glades label, and had his first major hit in 1973 with a jazzy reworking of T-Bone Walker's "Stormy Monday", which reached #27 on the R&B chart. His first national hit was a cover of Gladys Knight's "If You Were My Woman" (#70 R&B). His biggest success came in 1974, with "Let's Straighten It Out", an R&B chart #1 which also reached #31 on the U.S Billboard Hot 100 charts. He followed it up with more hits including "Keep The Home Fire Burnin'" (#5 R & B, 1975) and "Somethin' 'Bout 'Cha" (#7 R &B, 1976). However, the hits dried up in the late 1970s. 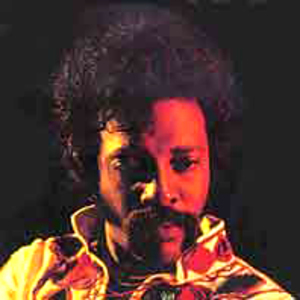 Latimore moved to Malaco Records in 1982, resulting in seven albums worth of modern soul music. He briefly left the label in 1994 and released a song for the J-Town label ("Turning Up The Mood") before returning to Malaco in 2000 with "You're Welcome To Ride". Next he recorded one album with Mel Waiters' label Brittney Records called "Latt is Back". After several years he collaborated on a new record label with Henry Stone called LatStone, which issued his first new album in six years called "Back 'Atcha". He has also continued to work as a session pianist. He appeared most recently on Joss Stone's albums, The Soul Sessions (2003) and Mind, Body & Soul (2004), along with fellow Miami music veterans Betty Wright, Timmy Thomas and Willie Hale.